Video gamers rejoice as 2015 promises to be a year filled with hyperrealistic race cars, badass monsters and not-so-final fantasies. 2014 saw some great game releases like Dragon Age: Inquisition and Metal Gear Solid V in the gamesphere and 2015 turns it up a notch with exciting new games and highly anticipated sequels like Final Fantasy XV. For those not familiar with the latter game or Roman numerals, that’s the fifteenth version. Has it been that long? Looks like 2015 is going to be an awesome and very long year for gamers to get into fighting evil once again and doing justice for the good people of Gotham. UrbanWire picks 10 games to keep you occupied. Do you like fast cars? Do you dream of racing them across the globe? Project CARS is the game for you. From the studio behind daredevil racing games like World of Speed, comes a racing sim that truly blurs the line between arcade and realism. This game is prided on being built without big-name publisher aid, and allows players to create their own drivers and choose from a variety of motor-sports from circuit races to off-road courses. The game’s developers, Slightly Mad Studios, have added a growing garage of cars and even more tracks to the game as development progresses. In an interview with GamingBolt, the game’s creative director Andy Tudor also revealed what will set Project CARS apart from the competition like Forza and Need For Speed – for one, all cars, tracks and motorsports will be available from day one! The game fully utilises the visual excellence available on next gen consoles (Xbox One, PS4) as seen from the video above. The developers are looking to push a step further by incorporating the 3D interaction of the Oculus Rift in the game. Put the pedal to the metal as Project Cars zooms across on March 17 on PlayStation 4, Xbox One, Wii U and PC. Any game that’s set in an alternate reality is more than certain to turn up on most radars. Just look at how well Mass Effect did, with 10.2 million units sold in its lifetime. 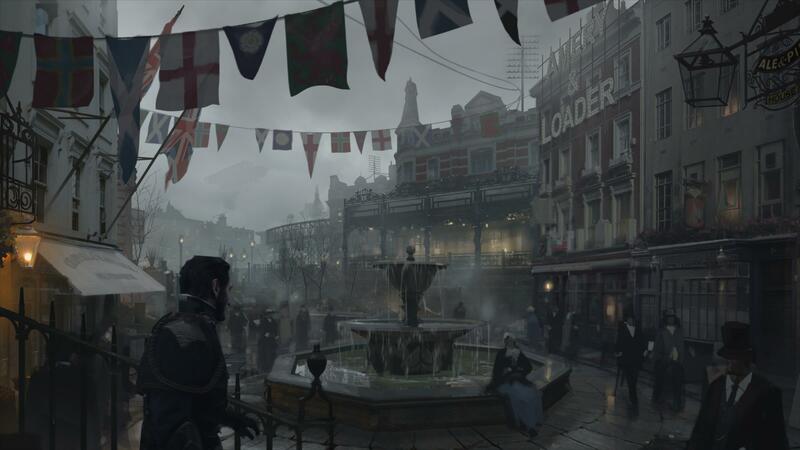 In The Order 1886, we look down from the stars and turn our attention to alternate-universe London. Between the seventh and eighth century, humans began to possess beastial traits as a result of the human and animal hybrids. Fearing these ‘monsters’, the regular folk came together and founded The Order to protect the world from these abominations. The battle waged on for centuries, with the monsters pinning down The Order’s forces with their sheer strength despite their lesser numbers. And you enter the picture and join the war in 1886 as Grayson, a young knight who fights to hopefully end this wretched war once and for all. The game is similar to Dishonored, where the character traipses through vintage houses and hot-air balloons. However, Ru Weerasuriya, co-founder of Ready at Dawn studios, maintains that the game is “not steampunk”. It also looks like the player has an option between choosing to stealth missions or charge in guns blazing. And variety is a must-have in tackling games nowadays. Ready yourself to brave the monster infested streets of London come February 15 exclusively on the PS4. In October 2012, an indie game was released onto GOG and Steam. With simple gameplay mechanics, unmistakable visual style and a killer soundtrack (pun intended), this game would go on to win many awards and become one of the most overwhelmingly successful games on Steam. Ladies and gentlemen, the violence-fueled sequel of Hotline Miami is here. Developed by the indie Dennaton Games and published by Devolver Digital, Hotline Miami 2 throws players into the murderous minds of several characters, each with their distinct motivations and pretty creative savage methods of execution. The trailer doesn’t hold back on showcasing the pixelated violence of the glorious 80s. We mean, holy crap, check out that dual-uzi-wield! It might be surprising to many that Dennaton never intended to “celebrate violence” and “just make a cool action game” – rather, the violence and bloodshed was meant to disgust gamers and make them question their own actions in the game, forming the basis of the original Hotline Miami. With that in mind, they took an interesting direction with their live-action trailer too. While the sequel builds on the story of the original game and its characters, Dennaton’s making a conscious effort to ensure the 2 games are distinguished: “What’s important is that we don’t want to make the same game 1 more time,” said the indie developers. Get your fair share of Hotline Miami 2 coupled with an intense soundtrack out early 2015 on Steam for PC, and on the PlayStation 3, 4 and Vita. World of Warcraft, Diablo, Starcraft… Blizzard Entertainment does capitalize on the worldwide success of their role-playing (RPG) and real time strategy games (RTS), but what about first-person shooters (FPS)? Who would’ve known? It’s an obvious competitor to the TF2 we all know and love but with enough differences that we wouldn’t call it a rip-off by any degree. Check out the map aesthetics. The map designs really remind us of Dungeon Defender’s vibrant maps, which is a good thing. Besides, the guys, girls, animals, and robots too (Blizzard’s really going for character diversity here) all look like they’re from a Saturday morning cartoon (and we mean that in an awesome way). Our favourite’s Tracer, with her adorable cockney accent. Admittedly, the currently announced game modes Payload and Point Capture aren’t new, but here’s the catch: Overwatch won’t have a deathmatch mode. As said by Jeffrey Kaplan, game director of Overwatch, the developers want players to focus on working together rather than on individual kills, and that pretty much means we’re looking at potentially less rage and more teamwork. Are you stoked now? Because we are. The world needs heroes. Sign up to fight for the future at http://us.battle.net/overwatch/en/ with open beta on PC in early 2015. Ah, Mighty No. 9 will tug the strings of nostalgia for many. An upcoming side-scrolling action game from COMCEPT Inc, lots of people will see more than a few similarities between the main character Beck and a certain iconic Blue Bomber. No surprise there, since this new IP is the creation of Keiji Inafune himself, the illustrator and co-designer of the one and only Mega Man (Rockman in Japan). In the fully Kickstarted (US$4 million) Mighty No. 9, players assume the role of Beck, the 9th in a line of powerful robots, and the only one not infected by a mysterious computer virus that has caused mechanized creatures all over the world to go berserk. However, the developer team has made clear that while many of them have worked on the Mega Man games, Mighty No. 9 is an all-new property that shares just the genre with the former icon of Capcom. Still, who’s going to reject Mega Man with more bling? We won’t! Prepare to take down the Mighty Numbers when a new blue hero drops in April 2015 for PC, Nintendo 3DS, PlayStation 3, 4 & Vita, Wii U, and Xbox 360 & One. After 8 years in the making, Final Fantasy XV (FFXV) is finally within our grasp. The fifteenth installment in the franchise centers around the Prince Noctis Lucis Caelum, a brooding heir to a city who protects the last ‘crystal’ in existence. With his band of brothers, he seeks to fight an invasion by a rival nation that aims to steal the crystal. Like any other Final Fantasy game, there’s certainly a deeper secret behind that story, but let’s leave that till the game’s official release. The game features an Active Cross Battle system, a more realistic version of the combat system made popular by the Kingdom Hearts franchise and hosts battles across a seemingly open world. As the game makes its jump to the next-gen consoles, we also see an evolution in its gameplay, like the increased party interaction and weapon swapping on the fly. For the gamer who’s into the outdoors but would rather be in the relative comfort of home, here’s a thing: according to Final Fantasy fansite Nova Crystallis, a camping system will also be in the game, and will be “structured deeply into the game’s stat and buff mechanics”. That’s the best of both worlds, right there. The setting of the game hits a lot closer to home with the city modeled after the bustling Shinjuku. In a twist, recurring characters like Cid are also introduced as female in the series for the first time. With exciting additions and interesting changes, the next Final Fantasy is definitely shaping up to be a force to be reckoned with. Final Fantasy XV is slated to be released early 2015 on PlayStation 4, PlayStation 3, Xbox One and Xbox 360. It’s always upsetting when a highly anticipated game gets delayed. As we saw from Final Fantasy XV, games can sometimes be delayed for years before they even hit the shelves. Thankfully The Witcher 3 has been delayed to just May 2015 – not too far off from the originally intended Autumn 2014 release. Poised as the sequel to the wildly popular (yes, we love our puns) Witcher franchise by Polish developer CD Projekt RED, we continue our journey as Geralt of Rivia, an exceptionally skilled Monster Hunter who must now combat the otherworldly force known only as the Wild Hunt, before they destroy the world as we know it. The team over at CD Projekt RED have gone to great lengths, as far as developing their own engine, the REDengine 3, specifically for their vast open world and multi-levelled story. In the spirit of change, the studio is also introducing another playable character in the game besides Geralt. Players take control of Ciri at critical moments of the game and get glimpses at the other side of the Wild Hunt story. To fans who’re still worried about further delays, fear not for PC Gamer has confirmed that the game is finished and the delay was solely for bug-stomping. And if it’ll assure wary fans, Marcin Iwinski, co-founder of CD Projekt RED also said in an interview with Eurogamer that there would be “no more delays”. Find out what made The Witcher 3 the ‘best role-playing game’ for 2 years in a row at E3 come May 19 on PlayStation 4, Xbox One and PC. Rocksteady Studios is back behind the Bat with the latest installment to the Arkham series, Batman: Arkham Knight. Following the gripping ending of Arkham City, the third game in the series is set to be the explosive finale that will pit the caped crusader against the evils that plague the streets of Gotham. 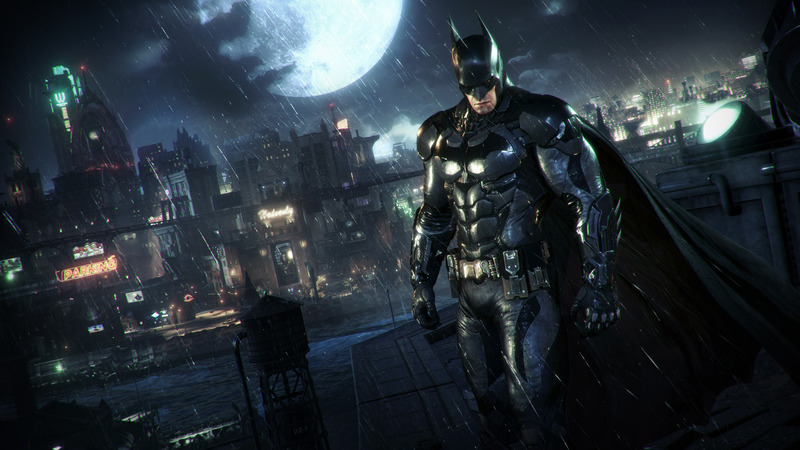 Dedicated to the popularity of the series, Rocksteady’s Brand Marketing Producer Dax Ginn revealed in an interview with Gamespot that in line with the bigger risks they took with every Arkham installment (for Arkham City, it was the game’s massive open world environment), Arkham Knight will feature a certain long-awaited “legendary car”. For the first time ever in the series, players get to jump behind the wheel of the Batmobile and dish out sweet street justice as seen from IGN’s E3 teaser reveal. Of course the biggest question on everyone’s minds is: Who is the Arkham Knight? Players will catch glimpses of this new villain in the game trailers which portray him as a cyber-looking Batman. In an interview with Game Informer, the game’s director Sefton Hill said that they wanted to introduce a new character “who could really challenge Batman to go head to head with him in lots of different ways.” Sounds like one heck of a title fight to us! Become the Bat and battle to save the very soul of Gotham come June 2 on PlayStation 4, Xbox One and PC. Halo’s come a long way since the original Halo: Combat Evolved convinced millions to buy the original Xbox. Halo 4, released in 2012 to mark the start of a new trilogy (The Reclaimer Saga) was simply put epic, and fully deserving to be a part of what has been called the best FPS series on console. The next in line for Microsoft’s Xbox exclusive franchise is a continuation of the enigmatic Master Chief’s story after the “death” of his companion AI, Cortana. Microsoft hasn’t been too generous with the details, but the fact that 343 Industries is working on this project ought to make fans more excited than ever. That, and the reveal of the other incredibly cool-looking Spartan on the box art, Agent Locke. Does it get better? Yes! 343 Industries has been exploring new ways to freshen up the multiplayer experience for Halo fans, and provide newcomers with a fair entry point into the series’ PVP, on top of the extended story everyone’s just waiting for. We think we can all expect a highly polished game by the time John-117 comes back into action. Get ready to don your Spartan armor once again when Halo 5: Guardians comes out on Fall 2015 on the Xbox One. Phil Robb, founder and art director of Turtle Rock revealed in an interview with PC Gamer that this is the studio’s “chance to shine” in the absence of Valve, who they worked with on L4D. “We’ll do our best and prove Turtle Rock is the real deal, and we don’t necessarily need Valve to be great. As much as we respect and love them,” he added. And while fans of L4D may see similarities to Turtle Rock’s best-selling, Evolve promises to have a more varied take on the AI patterns, which will definitely be interesting given the already popular AI Director they created. Earlier this year, UrbanWire got the chance to try out the game first-hand at Gamestart Asia. Since our original review, the game has dramatically increased its game content by introducing a new host of hunters and a new badass monster, the silent queen of terror Wraith. The studio recently released a hearty news update on Wraith, the silent but deadly space alien ninja of a beast. Unlike the other monsters, Wraith has a lot less health and focuses more on stealth and picking off the hunters one at a time. For a more intricate look at the silent queen, watch this interactive video above. The rest of the game is also starting to take form as a full-fledged campaign including 3 new modes – Nest, Rescue and Defend – apart from the standard Monster hunt. The randomized maps see players trying to complete different objectives depending on the mission. Bonuses and penalties will awarded depending on who wins: the monster or hunters. Join the hunt for the toughest baddies on the planet Shear on February 10 on PlayStation 4, Xbox One and PC.